Zero Stain Mattress Cleaning Aranda provide professional Mattress Steam Cleaning, Mattress Anti Allergic Treatment Including Sanitisation & Deodorisation. Call us on 1800 197 443 for the same day service. Zero Stain Mattress Cleaning Aranda provide same day professional onsite mattress steam cleaning services. Mattresses are huge and heavy to be lifted. It is practically impossible to clean them single handedly at home. If you think by keeping the mattresses outside in sun helps in killing the germs, bacteria and other unwanted insects from the mattress, then you are absolutely wrong. These germs, bed bugs etc. stay well hidden inside the mattress and are not easy to be removed. Our Local Mattress Cleaners can reach on the same day of the booking. For maintaining your mattresses as new and getting them cleaned and making them bug free, you will have to hire a specialist and it should not be avoided. 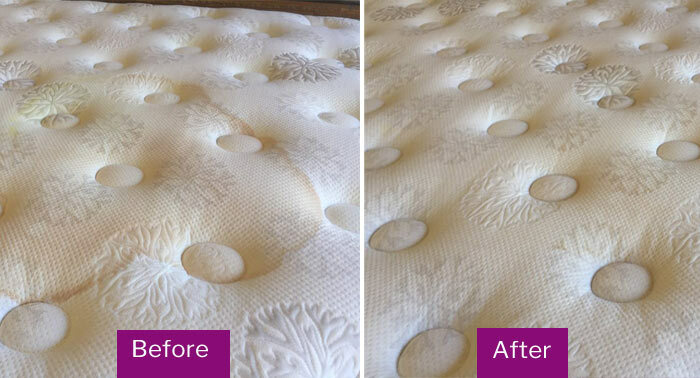 We are the mattress cleaning specialist in Aranda, Australia who disinfect and dry clean your mattresses. Our cleaning experts use the latest techniques and the most harmless cleaning solutions to clean your mattresses and make them free from unwanted insects and dust. 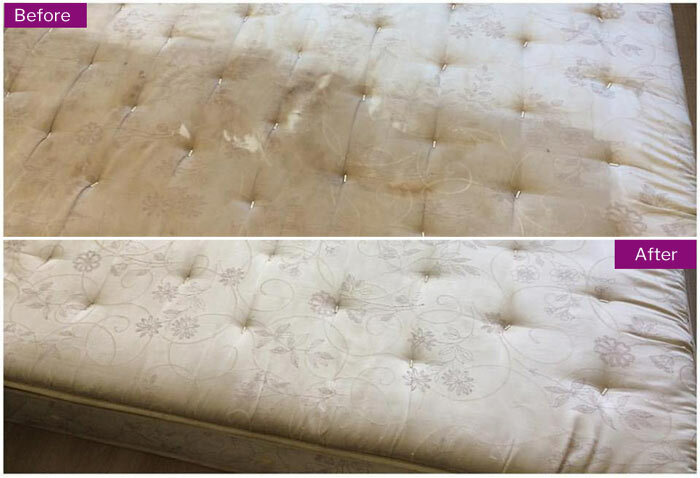 Mattress is one of the most susceptible places to stains and spillages. Along with stains, your mattress become the home for many other allergens and contaminants. These things pollute your mattress and make them an unhygienic place to sleep. It is important you treat the spill at the earliest to prevent it taking the permanent place. If you there are certain stubborn stains on the mattress and you are not able to clean them, hiring the professional help can be your best bet. Why to get your mattress cleaned? Three step dry cleaning – In this, we first use vacuum cleaners to remove dirt, dust mites and residue from the mattresses. After that, we rub shampoo on the mattress with a soft brush to dissolve trapped dust, dirt and stains. Lastly, we use an industrial vacuum cleaner to dissolve grime and extract all the dirt from the mattress. Two step steam disinfectant – Firstly, a vacuum cleaner is used to extract dust and mites from all the six sides of the mattress. After this, the mattress is treated with steam at 135 degrees to disinfect the mattress. The whole cleaning process takes about an hour for every mattress. The process of steam sanitization is less time consuming as the number of steps involved is lesser. We extract almost all the moisture post the dry cleaning process. The mattress takes around 2-3 hours to completely dry, however, it also depends on the weather conditions. In summers, it dries up faster than the humid season. During, humid seasons, you may have to place the mattress under a fan to dry up faster. Hence, your daily routine and life is not disrupted for long at all. In about half a day, we can complete all the mattresses of your house and they will be in a usable condition. To ensure a good night’s sleep, you should regularly get your mattresses cleaned or dry cleaned and we are a trusted brand in Aranda who can provide you with this service. Contact us on 1800 197 443 anytime and we will be there to serve you.